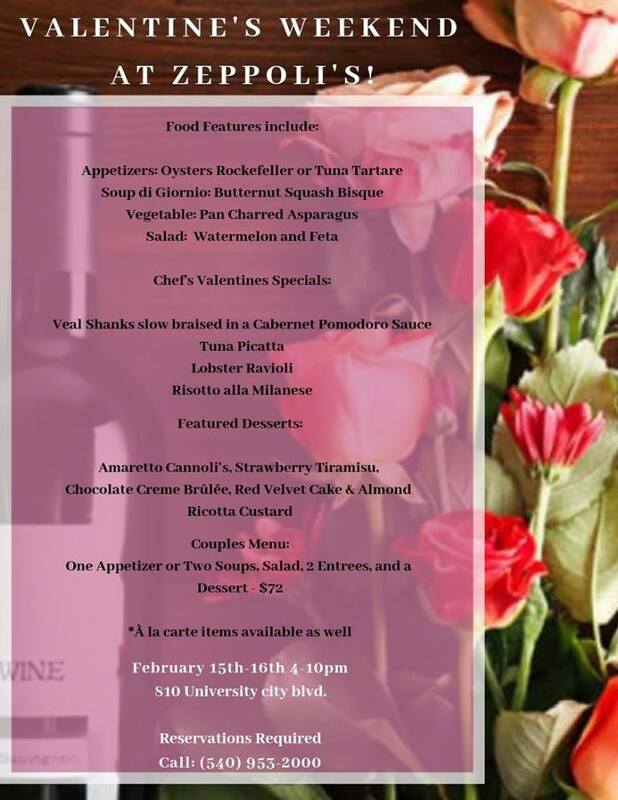 Zeppoli's presents 2019 Valentine's Weekend on Friday, February 15, 2019 and Saturday, February 16, 2019 from 4:00 pm until 10:00 pm. Join us for a romantic evening, we are celebrating into the weekend! We will have specials, a couples deal, wine specials and more! The cost is $72.00 per couple which includes your choice of one appetizer or two soups, two entrees and dessert. A la carte items will be available as well. To view the event flyer, visit: https://i.imgur.com/BbPlkZ2.jpg.